Rotary Club of Luton Someries - Welcome! Please see Our Online Calendar for information on the club's activities. 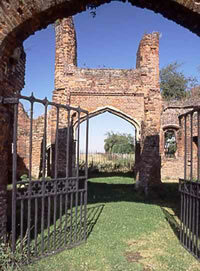 The Club was chartered in 1993 and takes its name from Someries Castle in Luton. We are a vibrant breakfast club with a wide programme of social and community activities. This website is for members of the public and other Rotarians to see what we do. It is also a working site for the club's members, so some areas are restricted. Our Committee News and General News sections contain information on club activities. Why not come and join us for breakfast on a Friday morning. Rise and shine; 7.00 for 7.15am! Our Contact Us page has the relevant phone numbers or email addresses.